Our rich domain expertise of many years has assisted our firm to manufacture, export and distribute an exclusive range of Ball Bearings. 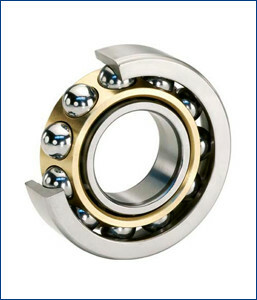 These precision bearings are used in countless automobiles and machinery for specialty fitting requirements. The offered precision bearings are designed and manufactured by utilizing highest quality metal alloys and following the industry standards. To meet the specific requirements of clients, we are offering these bearings in different sizes, designs and finishes.